The Interim Steering Committee for the International Technical Rescue Association is made up of professionals from around the world and have expertise across numerous technical rescue disciplines. The association's constitution will set future arrangements for the governance of the organisation. Robin lives in western North Carolina where he works as physician assistant. His medical interests include allergy and asthma management, injury prevention and wilderness medicine. 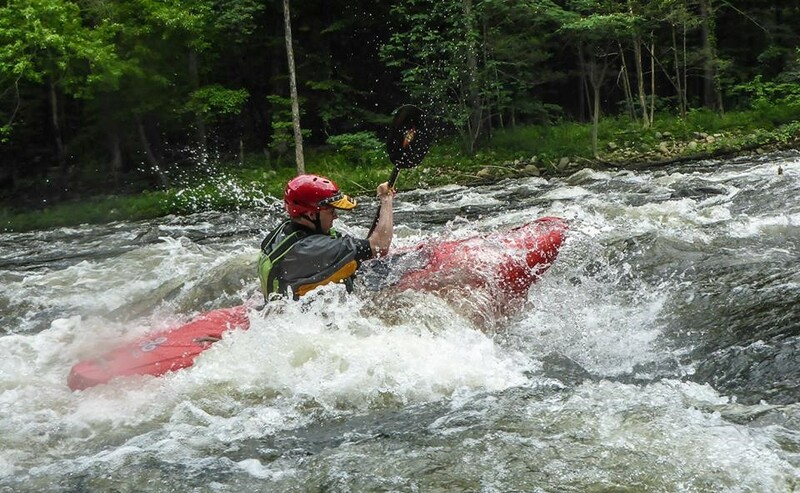 Robin is certified by the American Canoe Association as an instructor trainer educator in swiftwater rescue (level 5), river kayaking (level 5) and prone paddling (level 3); and as an instructor in coastal kayaking (level 2) and canoeing (level 1). He has served as chair of ACA’s Safety Education and Instruction Council and as president of ACA’s Board of Directors, and currently serves as vice chair of ACA’s Board. Robin represents paddlers and the ACA to the USA’s National Boating Safety Advisory Council, the National On-Water Standards program, and the National Association of State Boating Law Administrators Education Standards Panel. He also serves as the paddle sport specialist for BSA’s Sea Scouting program. Finally, he is a member of the US Coast Guard Auxiliary and was recently appointed Branch Chief of the USCG Auxiliary’s AUXPAD Afloat paddling program. Robin is an ITRA Level 3A Swiftwater Instructor. Jim has worked in the whitewater industry for over 30 years. Although fortune remains elusive Jim has worked in the Whitewater Industry full time since 1984. His success has allowed him to work on many of the world’s greatest rivers in Canada, the U.S.A, Mexico, Costa Rica, Chile, Argentina, Zambia, Zimbabwe, Italy, Australia, New Zealand, Indonesia, India and Nepal. He captained the Canadian Rafting team to 5 top 10 finishes at the World Rafting Championships. Jim is an ITRA Level 3A & 3B Swiftwater Rescue Instructor. Aaron Peeler, Owner of H2O Rescue Gear & Outdoor School Director at the US National Whitewater Center, started his river career before even being born. Growing up with a dad that was a river guide and taking his first rafting trip while still in his mother’s womb, he had paddling in his blood. Aaron started his professional career as a guide in the late 90’s guiding and paddling on rivers throughout the southeast. Over the past 20+ years Aaron commercially guided, trained guides and supervised outposts on many different rivers across the US. Aaron owns and operates H2O Rescue Gear where is design and sells progressive water rescue gear. Aaron also works full-time at the US National Whitewater Center (USNWC) as the Outdoor School Director where he developed the rafting operations and swiftwater rescue programs. Aaron teaches hundreds of professional rescuers (fire, rescue, and military), each year, in swiftwater and raft based courses. Aaron is holds an Instructor Trainer Certifications in Advanced Swiftwater Rescue and Raft instruction for the American Canoe Association. Aaron is also the Vice Chair for the ACA’s Safety Rescue Committee and Raft Instruction Committee. Aaron is an ITRA Level 3A and 3B Swiftwater Instructor. Brent Dubois has been a very active instructor since 1997 teaching classes ranging from Swiftwater Unit 1, Advanced, Vertical Rope, Motorized & Non-Motorized boat operations and Instructor classes. Brent is a dynamic instructor that brings humor and a thorough understanding of the subjects he teaches. He started as a commercial river guide in 1995 in the rivers throughout Northern California and Southern Oregon guiding class 3 to 5 whitewater. Shortly thereafter he became a firefighter and worked though the ranks to become a Fire Captain/Paramedic for the City of Anderson. He then moved on to become a flight Paramedic and continued to work in fire service. Brent has taught classes through out the U.S. and loves to travel. He cooperatively teaches with his good friend and Rescue 3 icon Bill Davis. His goal is give the student the most information and skill sets with the time allowed. Steve has been involved in rescue industry since 1993. In 2001, he was the inaugural recipient of the Ian Craig Memorial Grant and went to the US and trained under Rescue 3 Instructor Chris Jonahson. In 2006, he received an award from Rescue 3 International for his capability development in New Zealand, and later in 2014 was named the Rescue 3 International Instructor of the Year. He developed the National Urban Search & Rescue training framework and national qualifications, response team accreditation system, authored the USAR awareness trainer manual, and was one of the first three acting national USAR search dog evaluators along with Paul George and the late Ian Craig. in 2014, he and Geoff Bray became the first New Zealander’s to awarded the prestigious Higgins & Langley Memorial Award for developing the swiftwater body recovery course. 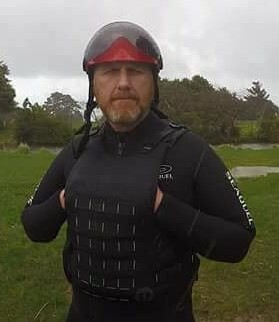 He introduced swiftwater flood rescue boat, inland rescue swimming and confined space rescue programmes for Rescue 3 into New Zealand, and was the author and instructor trainer for their Animal Rescue Technician I/II (ARTech), Flood Worker Safety (FWS), and Recreational River Safety (RRS) programmes. Steve has also served operationally with a range of agencies including Ambulance Rescue, USAR Task Force (NZTF1) and the SPCA National Rescue Unit. John has been the School Administrator and Lead Instructor at CMC Rescue since 1995. Currently serving as CMC’s School Director, he also teaches rope, confined space, tactical rappelling, and other specialized courses such as rescue for stage and arena riggers. Prior to his employment with CMC, McKently was Sr. VP in charge of Facilities at a mid-size bank. He has served with Montrose SAR for over 30 years, where he was Team Captain for seven years before being promoted to Commander. He has over 1600 rescue operations to his credit. In addition to his work at CMC, he is rated as a Senior Fire Instructor by the California State Fire Training and as Mine Rescue Instructor by MSHA. John is an ITRA Level 3 Instructor for Confined Space and Rope Rescue. Robin presided as the President of the ACA Board of Directors and was the chair of the Safety Education & Instruction Council. He is a Level 5: Advanced Swiftwater Rescue Instructor Trainer Educator and a Level 5: Advanced Whitewater Kayaking Instructor Trainer Educator. In addition to his Board and SEIC responsibilities, Robin volunteers a significant amount of time teaching a range of paddlesport courses. He is an active and long time member of the Carolina Canoe Club and resides in western North Carolina where he is teaching his son the art of kayaking.